In the world’s biggest sport, time is at a premium and nowhere more so than in Spain where La Liga is only matched by Serie A in terms on manager turnover. After an unusually slow start to proceedings four coaches have now been sacked in just over a month. 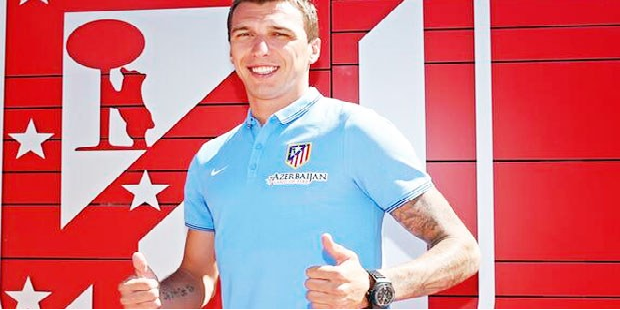 The most recent is ex-Real Madrid midfielder Michel, who saw his reign at Sevilla come to an end this week following the his side’s 2-0 loss to inform Valencia – the former Getafe boss spending just 342 days in charge at the Ramon Sanchez Pizjuan. Michel leaves Sevilla five points above the relegation zone and an increasingly insurmountable distance from European football, as a team whose financial situation continues to deteriorate with Real Madrid and Barcelona gobbling up the share of television revenue, continental football is the only way of progression for a club who are likely to soon be listing their most valuable assets as up for sale. Very few coaches can provide European football for a struggling La Liga side but one man with a track record in doing so recently became available, and Sevilla President Jose Maria del Nido and his board didn’t take long to act. Valencia put the final nail in Michel’s coffin at Sevilla’s Ramon Sanchez Pizjuan and coincidentally the man who left Los Che in the summer replaces the outgoing coach. That man was Unai Emery, whose four year spell at Valencia ended last summer when the club refused to renew the Basque’s contract despite another third place finish and progression to the semi-finals of the Europa League and Copa del Rey. Unai Emery’s four seasons at Valencia is twice that of the current longest serving La Liga coach, Jose Mourinho, and many will argue that relatively long spell in Spain was cut short prematurely, after an underwhelming six month period at Spartak Moscow ended in November Emery now has the chance to prove his supporters right. 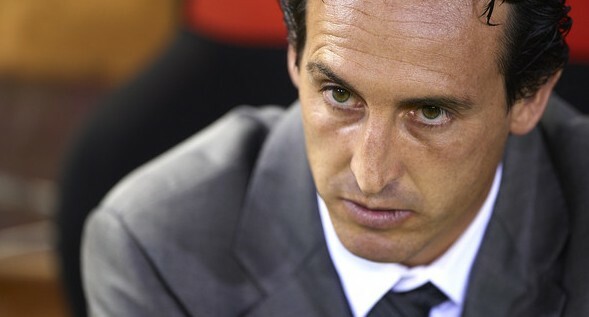 With Sevilla nine points off a Europa League place, it’s a tall ask for Emery to turn things round this in the remaining four months of the season but one it’s a challenge he will relish. A tired cliché often pedalled in such a fast paced, low-on-patience sport is that football is a ‘results business’ an excuse given for the sacking of a coach whose team are performing well without the required points haul. Trigger happy owners or directors are given a let off for short-termism, yet in Michel’s case; neither the results nor performances were up to standard. 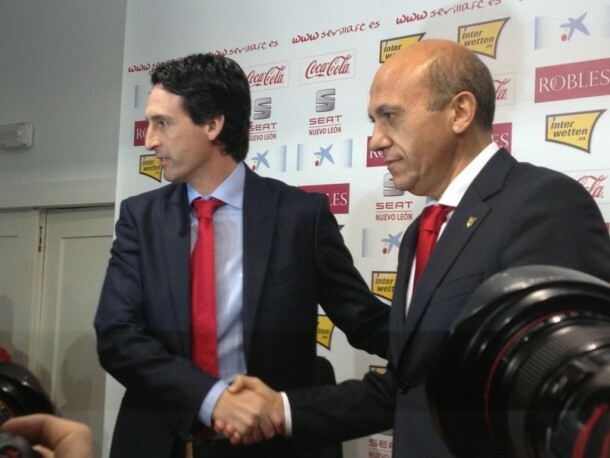 However, for Unai Emery at Valencia the opposite occurred, despite his most successful season in Spain (Europa and Copa del Rey semi-finals, third place La Liga finish) the results were there, the performances were not. Points were dropped from winning positions on an astonishingly regular basis and wins were absent in the biggest games big games, whether it be in knockout positions or versus bigger clubs. Emery’s stubbornness became a problem for supporters with the same, tactics, formation and player selection regardless of their clear and often failings, which despite another third place finish lead to a 39 point gap between first and third place, the largest of all time. The unfortunate news for Sevilla fans is that Emery showed similar failings in during his ill-fated spell in Russia, losing after taking a 2-1 lead at the Camp Nou in the Champions League was the most high profile but fans of Spartak Moscow also experienced similar issues with Emery’s stubborn and often frustrating nature. Even if Unai Emery has not yet learnt from his failings, he is at least returning to a league he knows well where he has had success in the past, his ability to deal in severe financial situations may also be the most important factor in Sevilla’s hiring. In the short term it’s a move that will allow progression for a team moving perilously close towards the abyss, but in the long term Sevilla’s problems run much deeper than who is sat in the dugout.